Why is all pro different from other restoration companies? Beyond having IICRC training and certifications, All Pro is owned and operated by a Red Seal Journeymen Carpenter who has successfully ran a construction business in the Yukon for several years. The combined construction and restoration knowledge means that no unnecessary damage will occur during the moisture remediation phase. 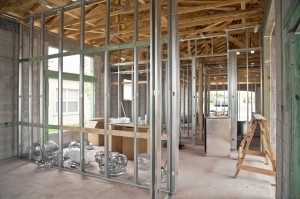 Having an extensive background in construction, All Pro deconstructs a site with the rebuild in mind. The efficient and accurate deconstruction saves countless hours and dollars when the inevitable rebuild phase occurs. Simply put, the carpentry and restoration industry are two very different fields of expertise. Having carpentry knowledge ensures that your building will be brought back to pre-loss condition in the most efficient and cost effective manor. Allowing our carpenters and restoration technicians to be the first on site means that you have qualified professionals for all components of the issue facing you. Assess and decide which building materials require removal and which can be properly dried as inspected by red seal carpenters.